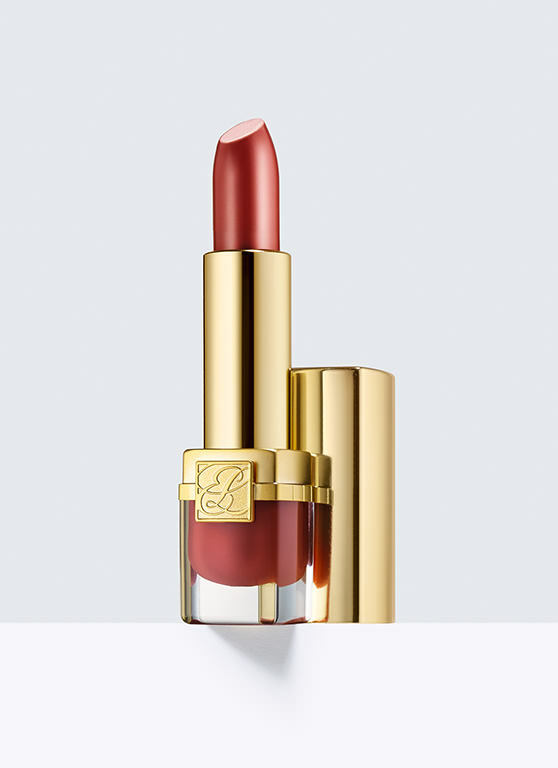 When it comes to makeup I am always a sucker for the gift with purchase, and even though I am a Clinique girl at heart, I've started to venture out a little when it comes to skincare and makeup. After purchasing this brightening serum + concealer along with this stay in place eye pencil, I am officially hooked on Estee Lauder for these two products. 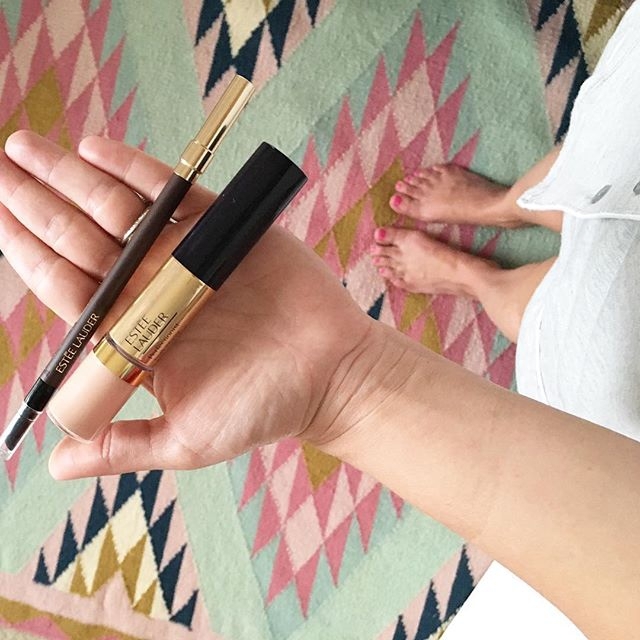 And I loved hearing on Instagram how some of you use both products and love it as much as I do! Now, moving on to the best part......it is Gift with Purchase time with Estee Lauder at Nordstrom right now! 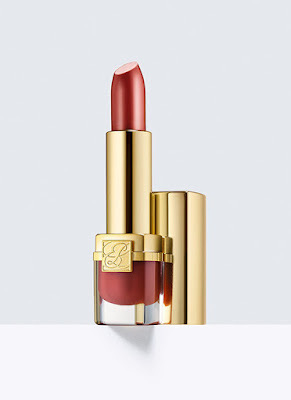 Anytime I see a gift with purchase going on I always try to test something out in order to receive the gift, even if it's just a fun lip color or eyeshadow. 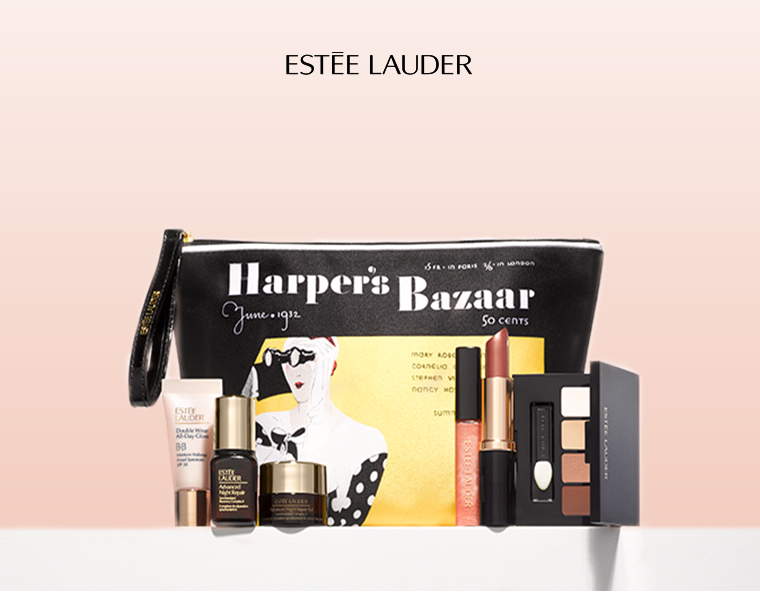 And for fun, let's take a little detailed peek on what comes in this gorgeous Harper' Bazaar bag when you spend at least $35 in Estee Lauder products at Nordstrom. I am pretty excited to try each and every one of these products! 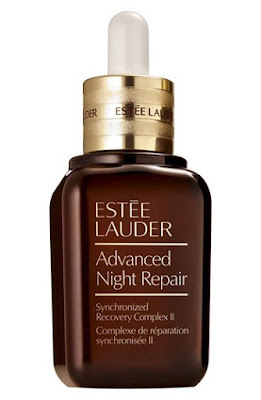 This is a nightly serum that reduces the look and signs of aging. And judging by the 186 FIVE star review, it must work pretty well. 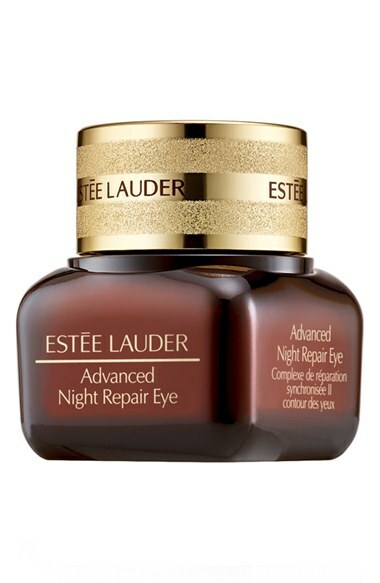 This is an anti-aging cream that's proven to reduce fine lines, wrinkles, puffiness, dark circles, dryness, and uneven skin tone. And again, this one is knocking it out of the park with it's 444 five star reviews. 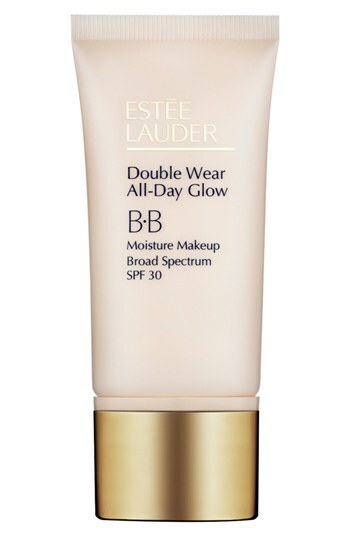 This is an oil-free, lightweight foundation that brightens and perfects! 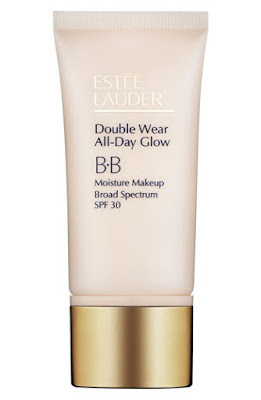 It seems to be a pretty sheer coverage though, so I would probably use a powder over it. 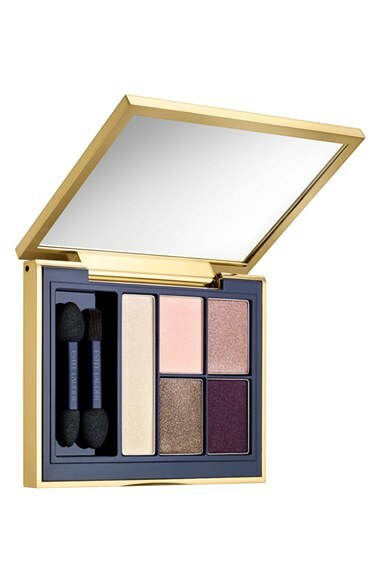 Both of these palettes look so fun, but I lean more towards the cool colors...especially for summer! You also get a full size, pure color lipstick in Rose Tea or Sugar Honey. I think both of these colors are beautiful, so this is a tough one. But you can always let the eyeshadow palette help you make your decision! 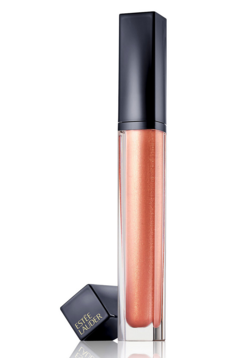 And last, but not least, the sculpting envy gloss. Again, you get to choose between two fun, new colors! 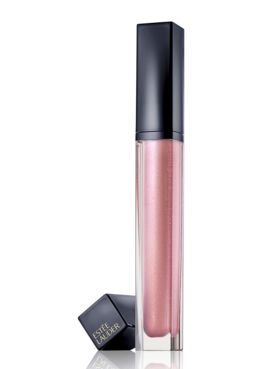 And we all know a girl can never have too much gloss! So I must say, this seems like a no brainer to spend $35 and try all this goodness out! But make sure you enter one of the four codes COOL1, COOL2, WARM1, or WARM2 before you checkout to receive your free gift!! I say this because, like a goof, I totally forgot, and I had no gift in the box when my stuff arrived :( But thank goodness for Nordstrom and their awesome customer service! I called to tell them that I had forgot the code, and without hesitation, they told me they would happily send one my way! So, I'm confused. You say you purchased items, but then Nordstrom "partnered" with the post. 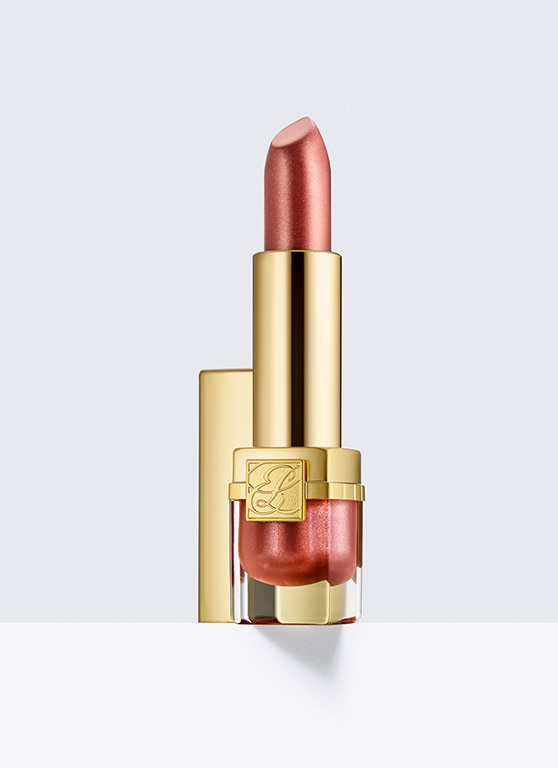 Did they offer you an allowance to buy certain Estee Lauder items of your choice? If that's the case then they gifted you those items and you did not buy them. Please keep it real with your readers.